In 2005, the Ontario government decided to transfer the operation of Georgetown Hospital from William Osler Health Centre to Halton Healthcare Services. During the transition, historical clinical data was left on the Osler system, and after the transfer, many of the physicians remained at Georgetown and still provided service to Osler. In order to provide clinicians with access to patient data from both organizations, a “provider portal” was deemed the best approach to meet the clinical data sharing needs of physicians and clinicians. The IT staff from Halton and Osler worked together to identify available vendor solutions, and during the request for proposals process, three other hospitals — Credit Valley Hospital, Trillium Health Centre and Headwaters Health Care — became involved in the evaluation because it was felt they might join the network later. In 2006, Credit Valley acquired a licence for the provider portal; Trillium and Headwaters followed in 2008. In a presentation at the eHealth Summit, Dan Germain, vice-president, CFO and CIO at Credit Valley, explained how the Rapid Electronic Access to Clinical Health Information (REACH) system was deployed. The REACH provider portal (provided by Medseek) is a web-based Portal solution that consolidates clinical patient data from disparate vendor systems (in real-time) into a unified, patient-centric view regardless of site location. The REACH portal also employs an Enterprise Master Patient Index (EMPI.) However, once access is granted to use the Ontario EMPI, REACH will interface to that application. The Credit Valley Hospital's IT team was impressed by the speed with which this application was deployed, Germain said. Implementation was accomplished over a few months, and in the words of users, testing was similar to a systems upgrade. Since the application is very intuitive, users required little if any training. Before deployment at CVH, a privacy impact assessment was performed. The only significant recommendation was to mandate the use of a pass-code keyfob for remote access via the Internet. Since patient-specific data is only stored once, responsibility for data security and integrity remains with each host hospital. By the spring of this year, William Osler, Halton and Credit Valley were using the provider portal extensively. Every month, hundreds of physicians and clinicians log onto REACH, one-third of whom are users looking at their patients that have been seen at other facilities. There are now over 9,000 views per month. As well as integrating into the Ontario HIAL and EMPI, Germain said future plans for this initiative include additional clinical content such as operating room systems and realtime physiological wave-form monitoring. REACH is also to extend a Patient Portal providing patient's range of other self-care services directly accessible online. Canada's electronic health record projects increased by 12 percent last year and have quadrupled since 2004, according to Richard Alvarez, president and CEO of Canada Health Infoway. "Canadians want their medical information available electronically to the clinicians who care for them and that's starting to happen in communities across Canada," said Alvarez. 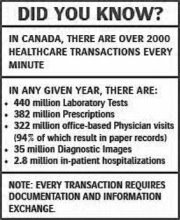 “Collaboration among governments is at an all-time high and with continued federal funding, we are well on our way to providing every Canadian with an electronic health record by 2016." 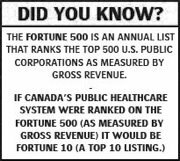 Canada Health Infoway is an independent, not-for-profit organization funded by the Canadian government. It jointly invests with every province and territory to accelerate the development and adoption of EHR projects in Canada. Infoway approved $311.5 million in new EHR investments in 2007-08, bringing the total cumulative value of its investments to $1.457 billion, or 89 percent of Infoway's $1.6 billion in capitalization by the Canadian government. The investment brings the total number of projects underway to 254, representing a four-fold increase from the 53 projects that were underway in 2004. "The electronic health record projects the government of Canada is investing in are coming alive (and) bringing tangible results," said Tony Clement, Canada's federal minister of health. Clement noted, for example, that in Nova Scotia, a shared diagnostic imaging program provides digital images of X-rays, MRIs, CT scans and ultrasounds to authorized healthcare providers. He said patients in Canada's remote northern communities are connected with healthcare professionals in urban centers through telehealth, and electronic medical records are generating results in the face of growing clinician shortages and administrative demands. Alvarez said he's seeing steady progress in all Infoway-funded electronic health record programs including registries, diagnostic imaging and laboratory and drug programs. He said Infoway would continue to target investments in "replicable solutions that support health system transformation, such as telehealth and public health surveillance." Healthcare systems are undergoing a series of complex transformations. Consumers are demanding better services and information that enables provider transparency and a more personalized service delivery model. This shift in healthcare has already begun, whether or not healthcare delivery organizations are ready to respond or not. We are quickly moving away from the traditional models of medicine and towards a patient-centric model with the intent to deliver more efficient care, whilst simultaneously improving patient outcomes. The advent of new web 2.0 eHealth technologies is serving as a powerful catalyst and today’s savvy consumers (patients) are demanding that the often slow-moving healthcare industry act in response to their evolving needs. The increasing expectations of consumers is a clear reflection of wider societal changes that have been evolving for a number of years, however, the pace of these trends has recently accelerated. In particular, the ability to articulate and communicate (1:1) individual preferences and demands has been made far easier with advancing web technologies. Such tools, for example, have enabled even novice internet users to create and edit content online. It’s clear; today’s Patients are becoming better informed and more web savvy; increasingly seeking services that allow them to take an active role in managing their health. Empowering patients to take more control over their health extends to those actions individuals and take for themselves, their children, their families and others to stay fit and maintain good physical and mental health; meet social and psychological needs; prevent illness or accidents; care for minor ailments and long-term conditions; and maintain health and well being after an acute illness or discharge from hospital. This “Self-care” is also one of the key building blocks for patient-centric healthcare delivery, and research shows that supporting self-care improves health outcomes, increases patient satisfaction, and reduces the increasing administrative burden. This (r)evolution is also driven by things like the increased adoption of online services via broadband and mobile devices; the enhanced ability to connect with individuals in other social networks; the continuing ease in submitting content online; and the growing participation of users with similar interests in online communities. People are flocking to online communities to share personal health experiences as well as learn from others with similar experiences or conditions. Patient feedback on treatments and providers for example, has begun to develop into an online system that generates transparency in the health system. Today’s web-savvy patients are using web tools to take responsibility for managing their own health status and care-path rather than always relying on experts or the 'doctor knows best' assumption. This self-service (self-care) trend effectively bridges the gap between caregivers and patients – before, during, and after the hospital stay and has far-reaching implications. One of the central components of today's healthcare delivery (and public health at large) is information. The use of eHealth (ICT) technologies related to gathering and retrieving patient data is already important and will only become more important in the future. Millions of dollars are spent each year in Canada alone on patients with chronic diseases who do not receive the recommended care designed to keep their conditions under control. New web 2.0 consumer tools and service models for chronic conditions are taking shape and the trend toward measurement of clinical outcomes is increasing and irreversible. As both regulatory agencies and consumers insist today on measuring the quality of care across a wide variety of clinical areas, “best-practice” treatment models emerge. This follows the growing awareness that quality equals affordability and that the best way to control long-term costs is to provide higher quality care today. So, whether the goal is to heighten prevention, detection, integration, or extend patients self-management---our healthcare delivery paradigm is clearly shifting to focus on connecting individuals rather than infrastructure---effectively putting patients (and clinicians) at the centre of new models of connectivity for improved communication and collaboration. May the dreams of our past be the reality of our future.